I hate puzzle games. I pick up a controller mainly as an escape, not to feel like a dumbass. When they crop up in games where puzzles shouldn’t really belong to pad out the playtime, my eyes instantly start to roll and a very British tut comes out of my mouth. However, The Talos Principle could prove to be the game that changes my mind. 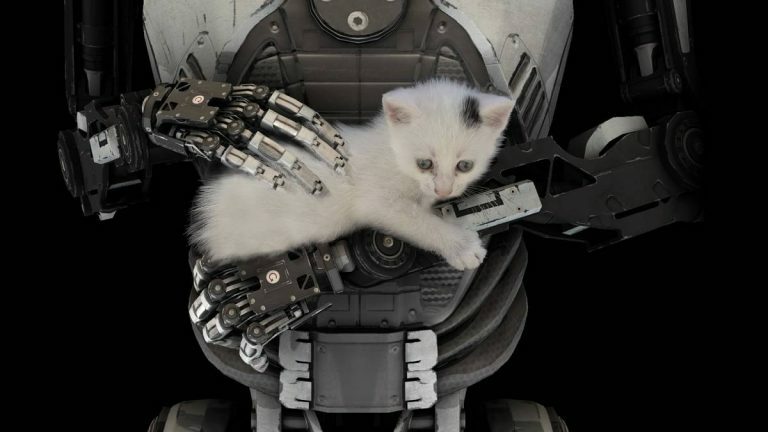 Initially released in December last year for PC, The Talos Principle has been given the PlayStation 4 treatment without losing anything in the way of performance. It’s simply sumptuous – instead of spending time solving puzzles, I would often find myself gazing out at an unreachable horizon and soaking in the rich environments. Croteam, who you might be familiar with for their work on Serious Sam, haven’t cut any corners to bring this to console. Mechanically, the game is very tight. Most of the buttons aren’t in use as you guide a nameless android through challenging areas at the behest of a voice from the sky known as Elohim. It’s your quest to track down and locate sigils and pieces from treacherous and chin-stroking mazes filled to the brim with things that want to make you dead. You’re helpless to counteract them, meaning there’s extra impetus on you to work out the rhythm of the puzzle. To go into depth about the plot of The Talos Principle would be to ruin the experience; the guys at Croteam have paced it out perfectly so that the curtain raises ever so slowly, inch by inch, until the big picture is eventually revealed. Even then, the game poses many important philosophical questions about what it means to be human, leaving The Talos Principle lodged in your memory. That’s a good thing. Too many games are throwaway experiences, meant to distract your mind for a few hours in the evening after a long day at work. The Talos Principle insists that you think as you play and just won’t let you go long after you’ve put down the controller. Make no bones about it, the puzzles found in The Talos Principle are hard; fiendishly so. There’s a deep sense of reward from finally cracking the sequence, no matter how many retries you’ve been through. All of the frustration from your many, many, many (and many more once you near the game’s end) failures spurs you on to finally beat a puzzle and inch ever closer to the truth. The puzzles are varied, ranging from straightforward to oh-my-god-do-you-think-I-am-a-Cylon levels of difficulty. Going from one easy puzzle to another extremely challenging can be quite a harsh juxtaposition, especially when you’ve come out of the former feeling like Hawking, but end up giving up on the latter once it makes you feel like Tony Hawk’s Pro Skater 5. As for how you go about beating them, they don’t differentiate much in the components, just the execution. You will mainly encounter floating mines and turrets for the majority of the game and unlock tools to help you beat them along the way. The best assets at your disposal are, however, the jammers – these enable you to open shield walls and incapacitate the guards. To help understand some of the world which you inhabit, there are various computers dotted around filled with handy text files of exposition. They serve contrarily to the guidance of the seemingly omnipotent Elohim, though it can become a bit of a bore to sit through and read them all. Except for the one that referenced Jeff Goldblum. The Talos Principle quickly won my heart once I saw that. You can also find various audio logs around the environments to help you piece together the backstory, though these are provided to you so infrequently that it’s difficult to keep up with the narrative. There are also QR codes placed in some mazes which can offer tips to help you conquer it – a neat touch in the grand scheme of feeling like you’re totally alone. Ultimately, The Talos Principle is a game that might not appeal to those who like frenetic twitch shooters, but it doesn’t have to. By staying true to itself and the story it’s telling, the game approaches puzzles in a way that is more engaging than it has any right to be, especially for puzzle haters like myself. If you’re looking for a game with a bit more under the hood, look no further.